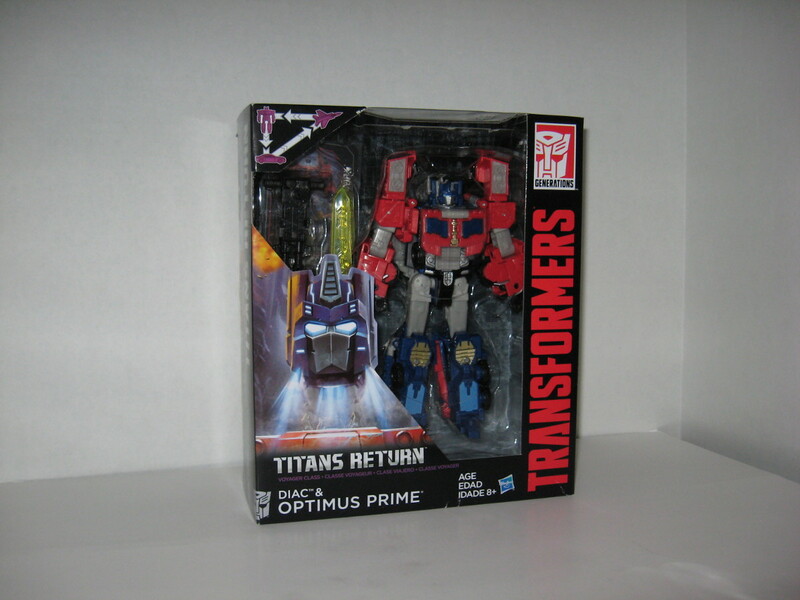 Titans Return continue in Feb of 2017. This month also includes one MP fig that I’ve been eagerly awaiting for some time. Both TR Megatron and TR Optimus Prime are solid offerings. These 2 are quite fun to play with. Both of them continue the trend of being Triple Changers for all Voyager class figures in the TR line. And as Triple Changers, all 3 modes for each figure are decent. There are no modes that look immediately out of place. 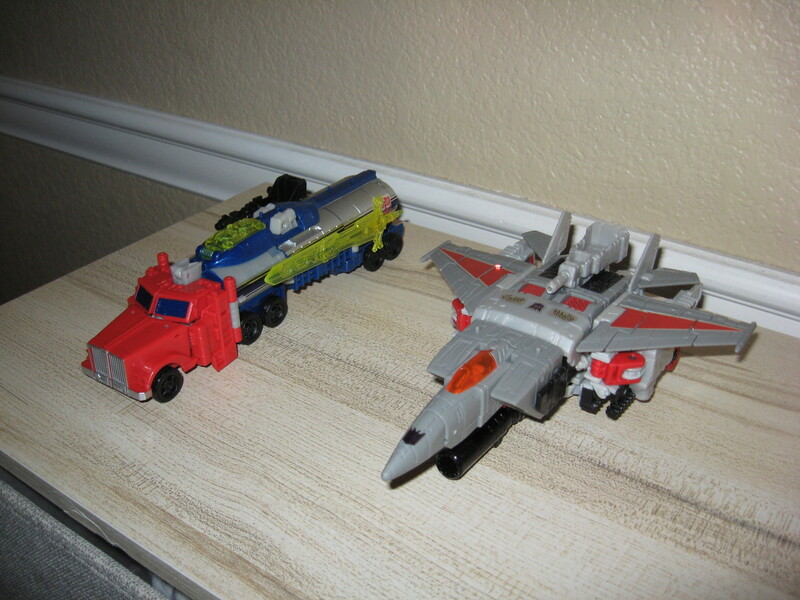 Megatron has a jet mode and a tank mode, while Optimus has a fuel truck mode and a jet mode. Does this sound familiar? That’s right… Hasbro’s real motives are to use these modes as Blitzwing and Octane. Once again, they issued the repaint of the mold first, and saved the real character for later. But this time they used such famous characters for the repaint. Oh Hasbro… will their shenanigans ever cease? Anyways, if you just want one character each of this mold, then get Blitzwing and Octane. 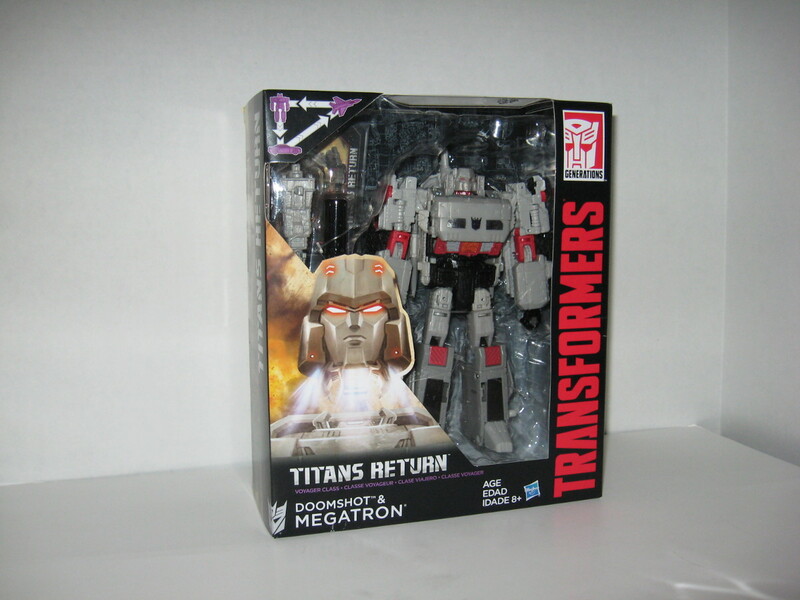 However, if you need more figures to add to your Megatron or Optimus collection, by all means pick these up. Hasbro did make several minor mold changes for each character, so it feels like you’re not getting the exact same thing. And as Titans Return figures, they both come with a Titan Master which forms the head (aka Headmasters in G1). The Titan Masters can sit comfortably inside the cockpit in alt modes. Now for the big prize of the month… Masterpiece Inferno! Many fans have waited for this figure for a long time. And he does not disappoint. 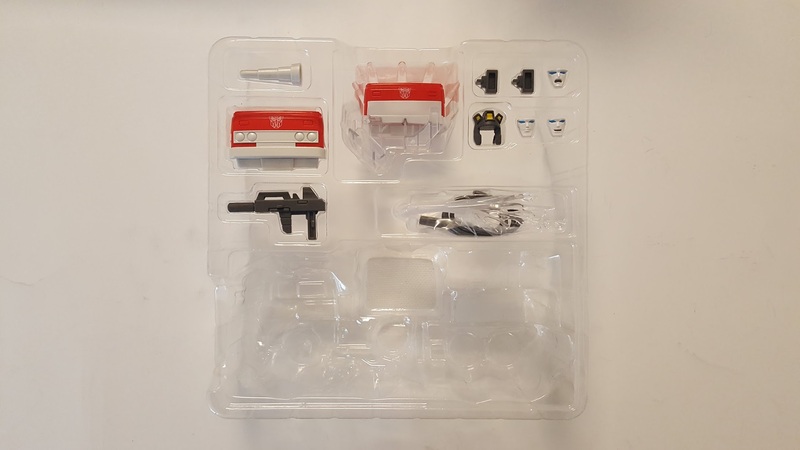 There are some 3P variants of Inferno out there already, such as MakeToys Hellfire and MMC Backdraft. I don’t have these figs so I can’t attest to how good they are. But what I can attest to is the brilliance of MP Inferno. 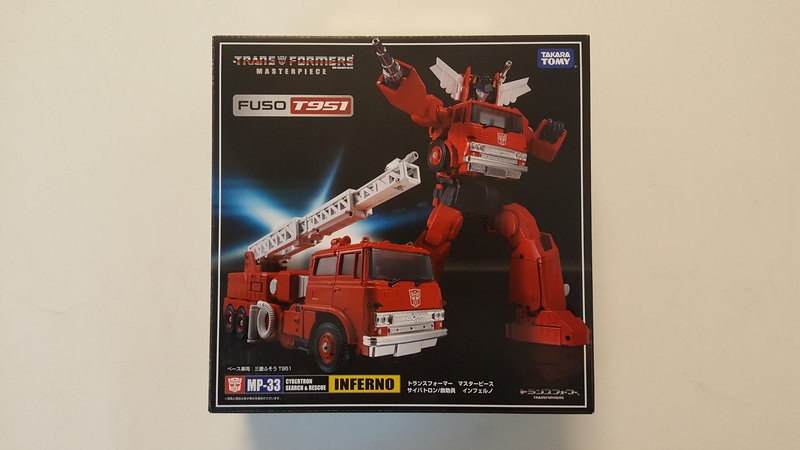 MP Inferno comes packaged in fire engine mode. Takara did a good job with this mode. It looks show accurate to me, and the whole piece feels cohesive and solid. Though to be honest, I think every interpretation of a MP styled Inferno has a pretty good alt mode. This official MP is not any better or worse. Transformation wise, Inferno has one particular feature that has all TransFans wetting themselves… the ladder hiding mechanism. This feature has to be seen to be believed. The ladder collapses on itself and folds into the back. Writing about it doesn’t do it justice… it’s times like these that I wish I did video reviews. I may start doing that one of these days. But yeah, this transformation mechanism alone gets Inferno a score of awesome for engineering. In robot mode, Inferno looks like he stepped straight out of the G1 cartoons. No gripes about the appearance from me whatsoever. Compared to Hellfire or Backdraft, he as a more simplistic look. But that also makes Inferno more G1 show accurate. Construction of the figure is also superb. The joints are all solid and clicky. Add some nice detailing to all this and you really have a winning package. 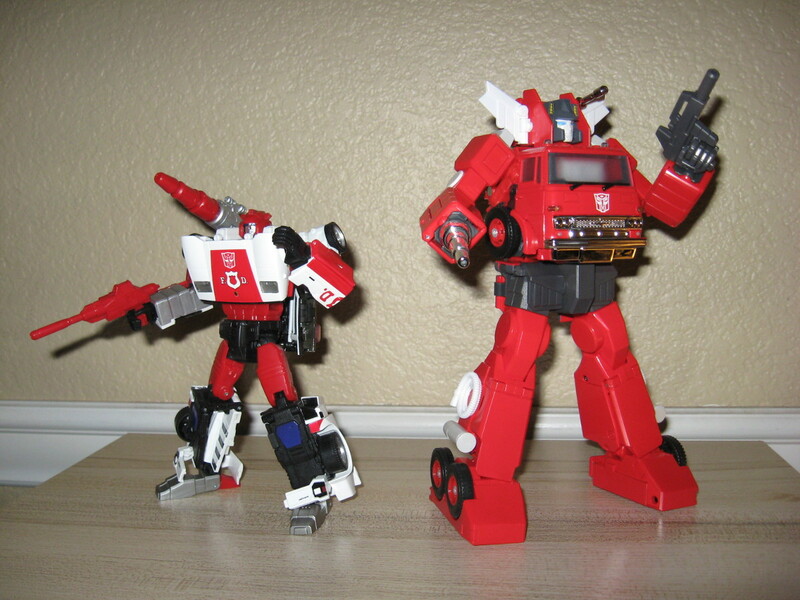 Inferno with his good buddy Red Alert. Check out all the accessories that come included with Inferno! Accessories fiends will find nothing to complain about here. All in all, I highly recommend MP Inferno. 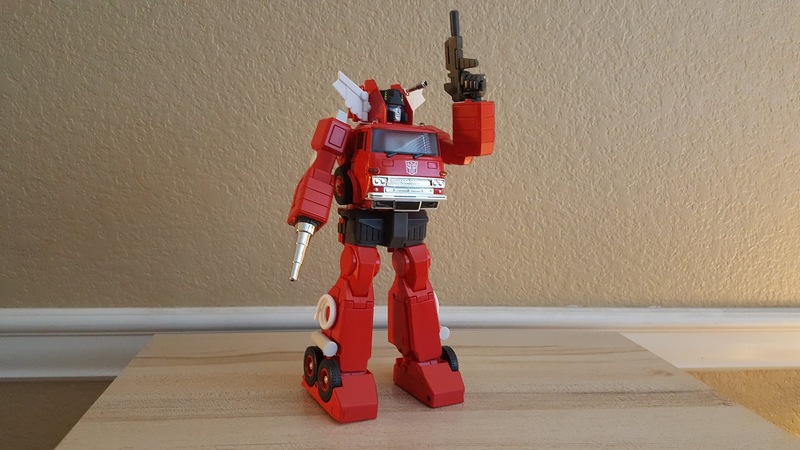 If you need a MP scale Inferno in your collection, look no further.